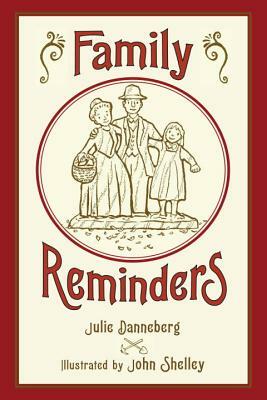 Ten-year-old Mary McHugh’s world is shattered when her father is injured in a mining accident in the late 1800’s. After losing his leg, Mary’s father falls into a deep depression. He no longer plays the piano or has interest in carving the intricate wooden "Reminders" that he has always made to remind the family of the milestones they shared together. To make matters worse, the family may need to leave their home in Cripple Creek, Colorado in order to make ends meet. Mary’s love for her father and her desire to get life back to "normal" push her to take a chance that restores her father’s spirit and brings her family a new life, strengthened by the hardships they have endured.